Tonight is World Book Night, an occasion when people get to share their love of reading, and thousands of free books are handed out to people who don’t usually have good access to books. It’s a brilliant idea, and one we should all get behind. 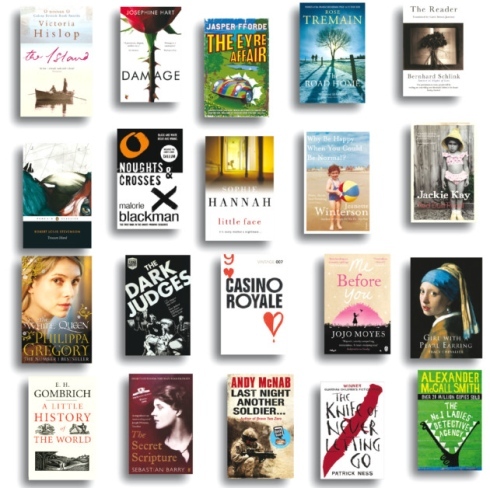 The 20 selections this year span a range of genres, and there are plenty for me to explore. Noughts and Crosses by Malorie Blackman – I read lots of Malorie Blackman books when I was young, but can’t remember if I’ve read this or not. Girl with a Pearl Earring by Tracy Chevalier – A brilliant novel, if you haven’t read this what are you waiting for? The Island by Victoria Hislop – A book I own, so there’s now no excuse to not read it! The Reader by Bernard Schlink – I’m guilty of seeing the film The Reader without reading the book. Oops. Have you read any of these books? Or are you doing something for World Book Night?